Our Wildcats experience "feast" and "famine" at the plate. Last Monday, March 25, the Middle School Baseball team had another exciting, come-from-behind victory.....this time against St. Mary's. In the bottom of the 4th, after trailing 4-0, they scored 5 times, highlighted by Home Runs from both Thomas Freeman and Jacob Stone. After adding another 2 runs in the 5th, the Cats went on to win by the score of 7-6. Jacob, Thomas, and Micah Barber led the way with 2 hits each. 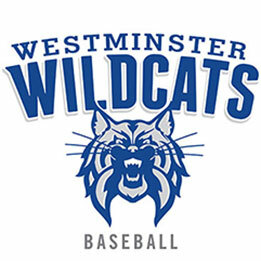 The Cats ran up against a pitching buzz saw on Monday, March 28 where they experienced 13 strikeouts and just 6 runners on base in their 8-0 loss to Augusta Prep. They started their "2020 squad" of 6th and 7th-grade players, transitioning back to 8th-grade starters in the 4th inning. Overall, as a team, they managed only 1 base hit all day. Unfortunately, that's the way baseball is....scoring tons of runs 1 game, and then "can't buy a hit" the next. They have full confidence that their bats will bounce back as they move toward the playoffs.